There is one sole owner of the mineral rights. Letters from the U.S. Bureau of Land Management (from the Rocky Mountain State involved), certify that the Mining Claim is considered Real Property and can be sold. Receipts from the Department Of The Interior and U.S. Bureau of Land Management (from the Rocky Mountain State involved) state that all Mining Claims Maintenance Fees have been paid. The owner of the mine passed away of cancer and all claims were transferred to his wife. All claim documentation showing Mrs. Porter as the owner of these claims is available upon request. 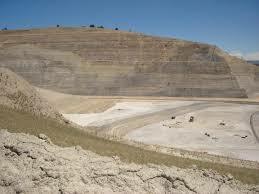 The project mining claims are located in Big Horn County, Northern Wyoming, USA, near the town of Worland. The claims total about 17,000 acres. 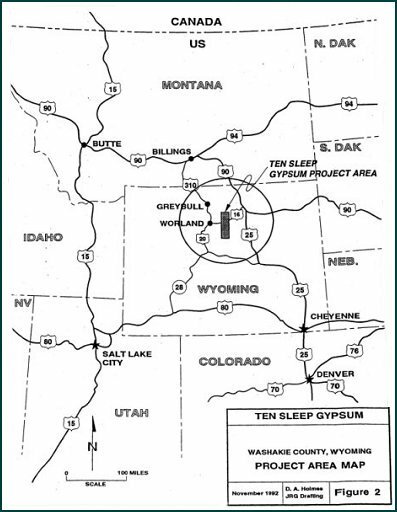 Four of the five mining claim groups lie between or near Ten Sleep and Hyattsville, Wyoming, which are about 18 miles apart. The fifth claim group lies about 40 road miles south of Ten Sleep. County roads provide access to all claim groups, and BLM roads reach more inaccessible areas. Paved highways from Ten Sleep and Hyattsville allow easy truck transport to Worland and Manderson, respectively at a distance of 25 to 35 miles from most deposit areas. The Burlington Northern Railroad provides North-South rail freight service through Worland and Manderson, with ready connections to mainline service near Billings. Worland is 450 road miles from Denver and 162 road miles from Billings. Commuter air service is available from Worland, with several flights daily from Denver and Riverton. 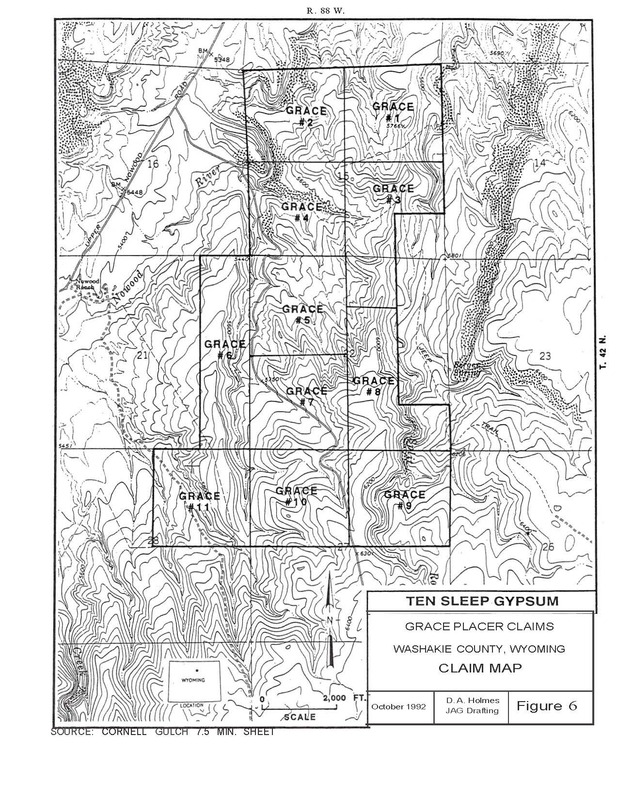 The Ten Sleep Gypsum mine is the largest high purity gypsum resource in North America, estimated at slightly more than one billion tons, on five mining claim groups. 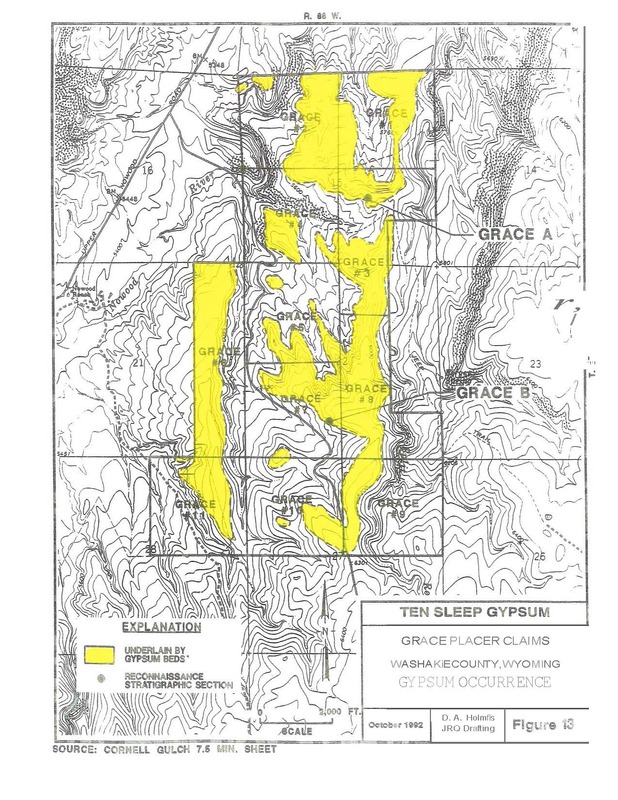 The claims total almost 17,000 acres of which 9,725 acres are underlain with gypsum. These gypsum deposits are secured by 108 association mining claims. All claims were staked before 1990; are properly located; and assessment work has been performed. The project's net value is based on the estimated 1 Billion core ton gypsum deposit located within the 17,000 acre project. The mine has an estimated value of over $23 Billion based on the CPA Appraisals according to the US Geological Survey, Mineral Commodity Summaries, January 2009. Another appraisal stated the conservative figure of: "a net appraised value of at least $11,516,560,000" (Charles R. Kozak Attorney at Law). Contact us to commence due diligence, request additional information, and to get in touch with the geological experts of this mine.